Fun design and fabrication project, a definite Drophouse favorite. Client came to us and requested a modern kitchen and left lots of leeway in the design and here is what we came up with. 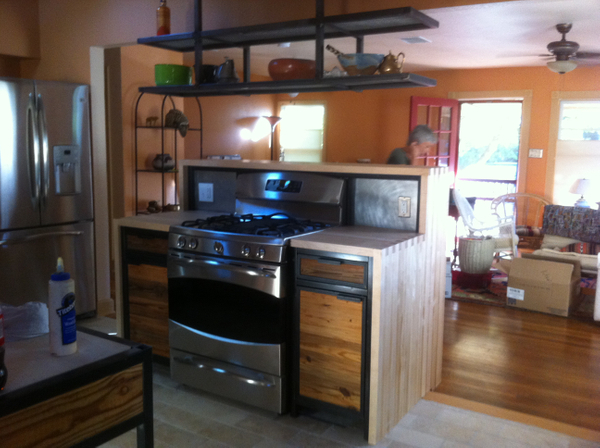 Cabinets are steel framed, 1” square tube, with 80+ year old sinker pine panel inserts. Cabinets topped with maple butcher blocked fabbed in house and soapstone near the sink. Drophouse designed and fabbed by Drophouse and Litmus.